We were so fortunate here at Affinity Connection, INC, to get a hold of Scott and ask him a few questions. He reflects on the band, his life now, and acting like the kind of man the Star and Crescent Creed says the men of Kappa Sigma should be. “I started my first band in high school on a lark, to enter a talent show,” Ott told us. “We were just going to air guitar and lip sync The Ramones ‘Beat on the Brat,’ but my co-conspirator said, ‘Why don’t we have a real band?’ Therefore, we did. We imitated The Blues Brothers and did some originals. 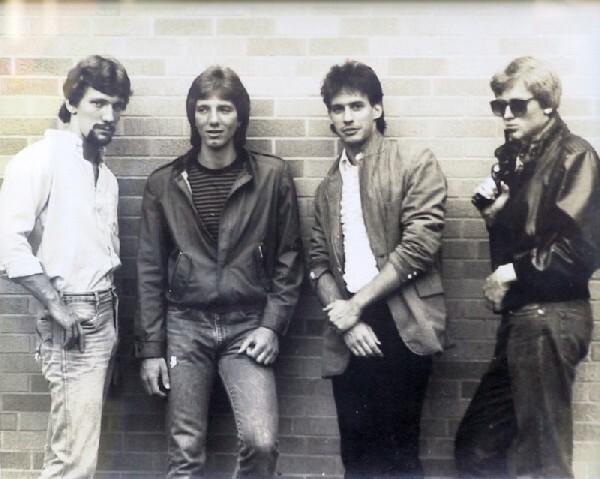 I didn’t know the other band members before we started S.O.B., except Alpha Delta Eric DeZubay ‘82. Eric was a self-taught drummer who would snap on some headphones and hammer along with his Rush albums, to the delight and annoyance of many in the house. He became the best drummer I ever worked with. “The brothers were very supportive of the band,” he added. “They allowed us to rehearse in the party room downstairs for many hours every day. Of course, it was summer, so the house was mostly empty. There used to be a sub shop called Bubba’s in the basement of the house, and the owner would come in and watch us rehearse when business was slow. We actually played a free gig in the corner of his tiny shop one night. That was weird. I think that was before we named the band S.O.B., and I actually made up posters for the gig under the working name ‘Killer Fawns,’ a blatant rip off a poster in National Lampoon magazine. We spent an incredible amount of time together that summer. Almost all of it in rehearsal. We would literally practice 6-8 hours per day. I had no job, and thus very little food. I sold my plasma at Sera-Tec and bought rice and margarine. I lost 35 pounds in a month and a half. I had to tie up my pants with a rope because my belt was too long. We sometimes argued over which songs to play, because we all had different tastes, but early on we decided to play mostly popular, danceable stuff that was in heavy rotation on MTV. I had no amplifier, so I was shouting over those who did, and over Eric’s thundering drums. When we played out, we hired a soundman who would take literally half of our income. Most of the rest went to posters, ads, guitar strings, drum skins etc. I recall one night walking out of The Brewery with $6 in my hand — my cut after expenses, and thinking, wow, I’m a professional musician. 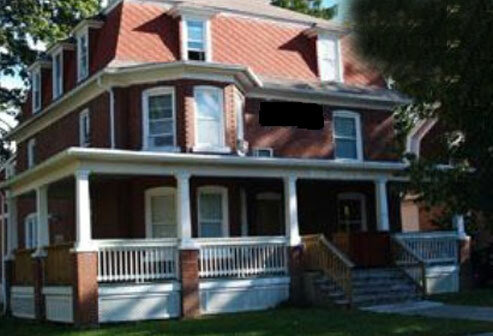 The gig at Kappa Sig that summer was my favorite,” recalls Ott. “It was a large room, and we packed it. Playing on the HUB lawn was great too. These days, S.O.B. is on hiatus. “I sing at the top of my lungs in church on Sundays,” says Ott. “Over the years, I’ve been blessed with the opportunity to do solos in church productions. I’ve also performed with piano, and even a cappella before groups of senior citizens, doing the songs I learned from my pop, and his 78 RPM collection. While my daughter once told me she wanted me to sing Billy Idol’s big hit at her wedding, I mercifully managed to escape that sordid spectacle. I’m married to Stephanie and we have two boys and two girls ranging in age from 17 to 27 years. We live North of Dallas, Texas, and love it here. Over the years, I have served as a pastor, church planter, Christian camp director and Bible teacher. Things got very different after Jesus saved me at age 28, and I’m eternally grateful for that. I suppose Kappa Sig helped to prepare me by forcing me into awkward situations where I had to think, speak and lead. It also showed me how important it is to have my life anchored in God’s word. You can’t even become a brother without confessing that you believe the Bible, and revere its teachings. In addition, of course, our creed exhorts us to be ‘above all else, one who walks in the light of God.